Acupuncture: a proven therapy for thousands of years and finally acknowledged today. The earliest documentation of acupuncture dates back 3,500 years in China, but it was probably practiced even earlier than that. The World Health Organization (WHO) of the United Nations, the National Institute of Health (USA), the Arthritis Foundation, the American Cancer Society as well as the MS Society* recognize that acupuncture may benefit a wide range of medical conditions and ailments. As you would imagine, acupuncture is widely practiced in all of Asia. Europeans are also familiar with the benefits of acupuncture. It is only recently that Americans have discovered the benefits of acupuncture used in conjunction with conventional Western medicine. In recent years, Traditional Chinese Medicine and Western medicine have been proven to effectively support each other. Complementary therapies can help reduce blood pressure, lower blood sugar and ameliorate the side effects of cancer therapies. Your physician at Stillwaters Healing Center is a trained professional who can work hand in hand with your primary doctor, internist or mental health professional. 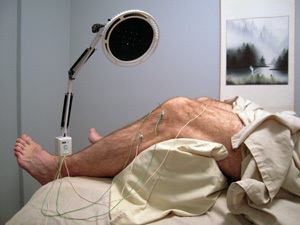 Many insurance companies in the United States acknowledge acupuncture as approved therapy for a variety of conditions. Check with your insurance provider for more details. * Please note, Stillwater Healing Center is an approved MS therapy provider. MS Society Grants are available to qualifying individuals for acupuncture treatments. Anxiety/depression, arthritis, asthma, sciatica, allergies, sleeplessness, migraines, menstrual and gastrointestinal and digestive disorders, infertility, indeterminate aches and pains to name a few. It has been proven beneficial in symptomatic relief of side effects caused by cancer treatments such as radiation and chemotherapy. Looking to the future, acupuncture is also used in a preventative manner to keep the body functioning at its best and the immune system healthy and active. Acupuncture helps keep the body in optimal functioning condition, thus slowing down the aging process. In addition, acupuncture helps to release natural endorphins which are known to reduce stress. Think back, have you ever been told that you looked 10 years younger when you arrived home from vacation? The reduction of stress equals a reduction in those awful stress lines on your face and that could add up to a more youthful and vibrant you. Yes, acupuncture is actively used for ‘natural facelifts’ as opposed to chemical and surgical/invasive facelifts. Go to Facial Rejuvenation and Body Sculpting for more information. Acupuncture involves the insertion of extremely fine needles, just slightly larger than the diameter of a human hair, into strategically located points in the body. In fact, some of the most powerful points of the body occur from the elbow to the fingertips, and from the knee to the toes. A point on the big toe helps to effectively stop excessive bleeding. A point on the side of the foot can help with insomnia, irritability and depression. Another example, insertions into the earlobe have proven helpful in diminishing the urge to smoke as well as providing calming, anti-anxiety effects. Other points treat TMJ, tinnitus and migraines. These insertions facilitate the flow of Qi (pronounced Chee, meaning energy) through a complex system of meridians. 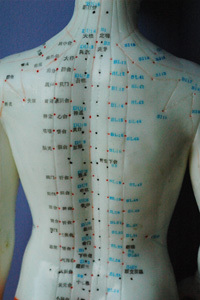 According to Traditional Chinese Medicine, these meridians correlate to the nervous and circulatory systems of the body that help to maintain health and life. It is believed that illness results from the stagnation or improper flow of Qi. Acupuncture improves this flow and stimulates the body’s natural healing abilities. Modern research suggests that acupuncture triggers the release of the body’s own natural chemicals into the bloodstream and nervous system. These natural body chemicals change the experience of pain and stimulate the release of other chemicals including endorphins and serotonin, which influence the body’s internal regulatory systems.